Here's a familiar photo! 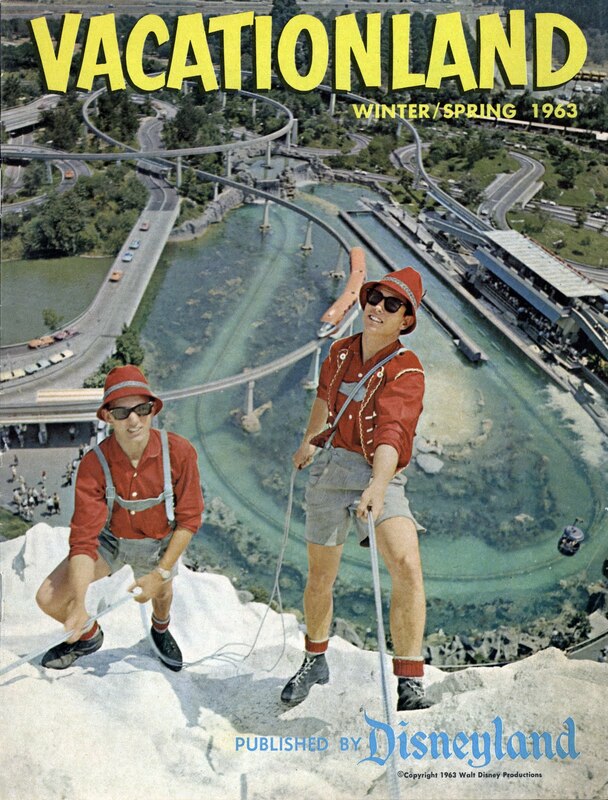 Its those wacky Alpine Guides climbing Disneyland's Matterhorn. This photo is almost identical to the cover photo of the 1963 Vacationland from Sundays post (link) and was probably taken just moments apart. Looks like this press photo was to promote the Disneyland Around the Seasons episode of The Wonderful World of Color that would be broadcast just three days after Walt's passing. I can see one of your "three fences" down there! I wonder if either of these guys ever climbed a real mountain? Major-Yes they did. 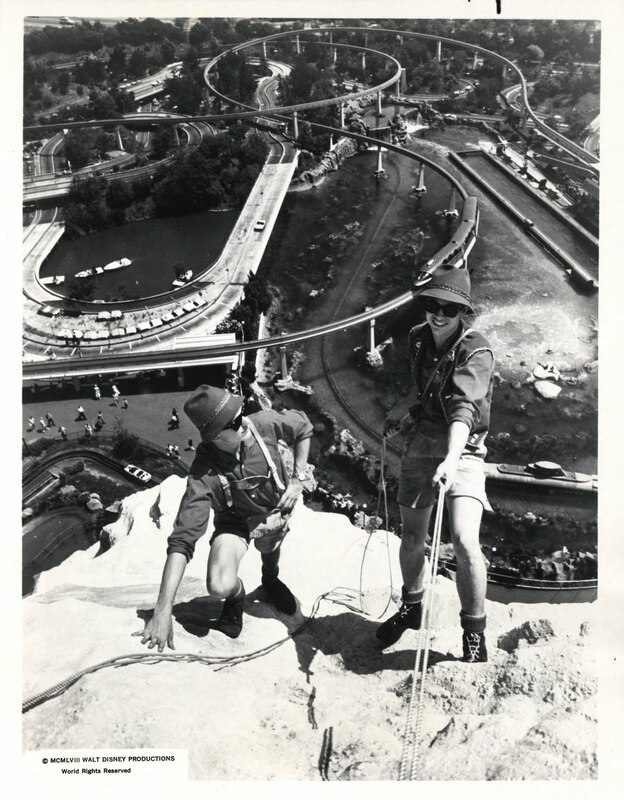 The climbers were recruited through the Sierra Club. The Sierra Club at this time was the premier mountaineering club at the time. I believe the route on the Matterhorn is rated as a 5.8 difficulty route. I was one of "Mickey's Mountaineers" in 1985. There are no steps build into the Matterhorn at DLR... all climbing is authentic and potentially dangerous. 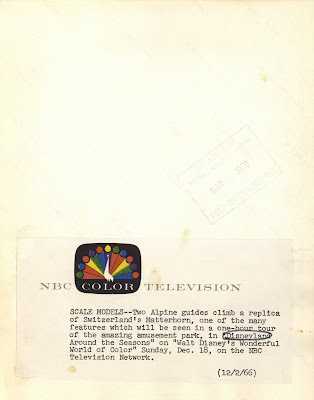 All climbers were required to submit their 'climbing resume' of climbs outside the park, then 'audition' by suiting up in the lederhosen character uniform and climb with an existing cast member, before being offered the job. The climber program is only offered in years with a significant promotional budget, such as the 30th anniversary when I climbed. In order to have climbers visible throughout the day, we climbed in two alternating teams of 2, meaning we made 8 climbs a day, with eight 30-minute breaks! On hot or smoggy days, we'd chose the easiest routes, to get back inside the mountain. On cooler days, we would take on something a bit more challenging.